TATSUJIN on Steam now & hi-score contest! The Super Fighter has landed on Steam! And to celebrate, we have a hi-score contest with some Jaleco & Toaplan-themed prizes! That's right, the TATSUJIN DLC will be hitting Steam on February 13th (PST) details here, or just jump straight to the store page, here! We have some cool prizes on offer too, so get those trigger fingers ready! We also just updated the Steam version to fix several bugs. As per usual, details are on Steam. PS4 Physical release & product details! We're thrilled to announce both the PS4 standard and limited editions will be going on sale on Feb 1st in conjunction with Limited Run Games!! Take a look at what each edition includes here and keep up to date on the release via Limited Run's Twitter. CruisinMix Special release date & video! Check the new trailer here!! That's just over two weeks away and, as promised we'll be releasing the Special version in place of the standard release; any current owners of either the Steam version or PS4 (EU or US) will receive this as an update on release. a sound test for you voice actress fans and the inclusion of the Japanese game for PS4 players! The localisation means the fully-voiced Data Mode is now subtitled, so you non-Japanese fans can finally experience the depths of Pig's dishonesty! ...And understand the story, of course! Following the Tokyo Game Show announcement, the official page has been updated to include the new TATSUJIN DLC, information about the upcoming Limited Edition release and the long-awaited Steam release! Information about TATSUJIN/Truxton can be found here and the Limited Edition is here. Tokyo Game Show live broadcast & announcement! The Game Tengoku development team will be on stage from the TGS floor with a very special surprise guest and a big announcement! You can watch live on Saturday at 11am (Friday,7pm Pacific, details here). Will we finally be able to announce the correct release date? Tune in to find out! Clarice Bomber contest update & localisation news! Firstly, apologies for the prolonged wait without news (again!). If you recall, we had an art contest at the end of 2017 with the winner's illustration being enshrined in the the game as one of Clarice's bombs. Hirohiroki was the winner, but we haven't been able to post any updates UNTIL NOW! As you can see, the development team have been hard at work preparing the new bomb for use in game! Homura Banto is ready to hit homers all day, even from a bunt?! His DLC is all ready and waiting on the Steam store now! We also have an update for Clarice's DLC, which adds a new music track and mini Clarice support characters too! And last, but not least, there's an extra stage added to Arcade Mode +'s Time Attack! Homura Banto DLC release and 1.06 update! We just updated the English DLC page to include the second DLC character, Homura Banto! We just updated the English DLC page for Clarice to include a teaser for her exclusive Arcade Mode+ music track! The track will play during Time Attack stages and is a remix of the original City Connection theme by composer Kenichi Arakawa, the original Game Tengoku composer. so you'll find some early test-shots of the subtitles in action during the Arrange Mode below. As for the release: we've had to move it to Spring. Please accept our apologies for this. The development team is only small and they're hard at work updating the game, more DLC and on top of that, the need to go back into the original code and add subtitles timed to the on-screen action has been a lengthy process. Clarice Bomber illustration contest results! That's right, the results of the illustration contest we ran in December are in! The first prize, if you recall, was that the winner's illustration would be immortalised in the game as a bomb for the DLC character Clarice (released today!). A great rendition of Clarice and her beloved Claricecar being pursued by the police. Congratulations! The mysterious, blonde (fake?!) Clarice, from "Gunbare! Game Tengoku", the sequel to Game Tengoku. Will her relationship with the 'true' Clarice ever be explained?! Excellent work! Clarice as she would have appeared in Cannonball Run, perhaps? And her ever present Claricecar in tow. A great illustration with a well thought out catch-phrase too. We'd like to thank everyone for their fantastic depictions of Clarice: the development team had a hard time choosing in the end! Japanese release! English to follow! The Steam version released today and the English localisation will be coming early next year alongside the PlayStation®4 version and physical release. 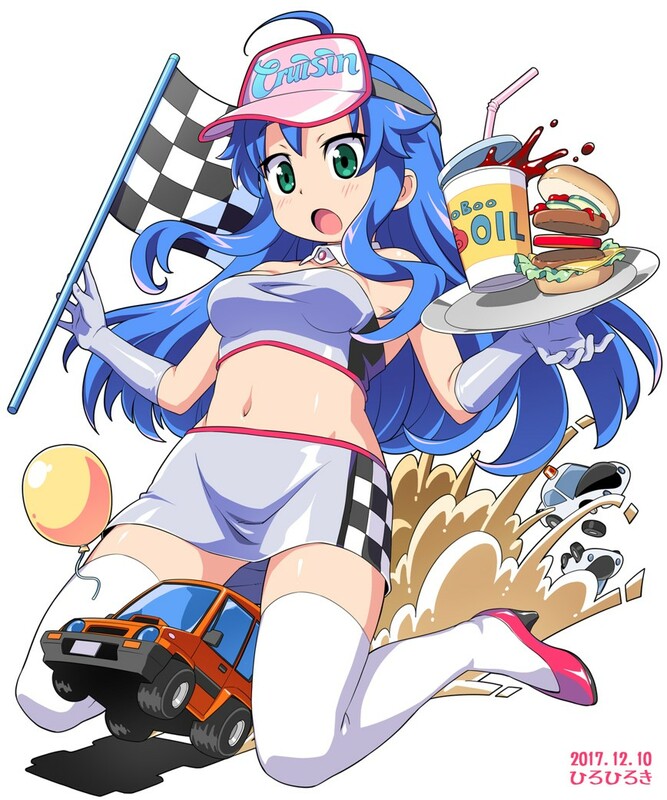 To celebrate the release of Game Tengoku CruisinMix, we're holding an illustration contest! The Grand Prize winner will see their illustration put into the game itself!!! YOUR artwork IN THE GAME! Your illustration becomes the pin-up image when Clarice drops her bomb! Once the contest deadline has passed, the Game Tengoku development team will select the winning illustrations. Contest Rules and Submission Guidelines Below! 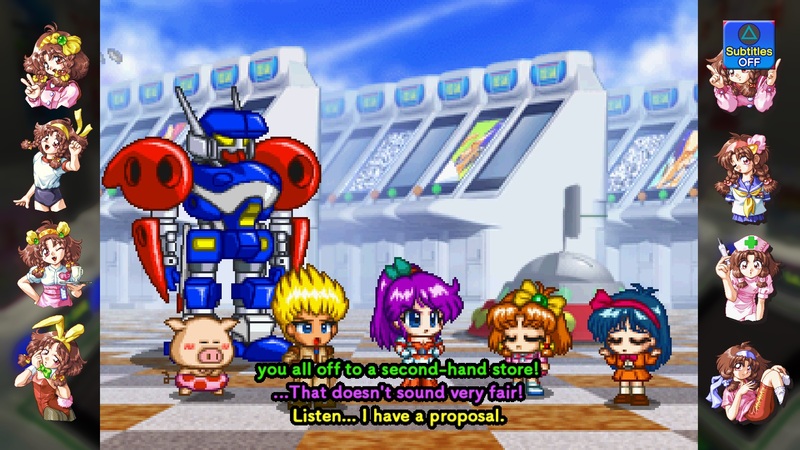 Once the contest ends, the developers and artists of Game Tengoku will personally select the winners! The 15 year old star of the Jaleco classic, City Connection (or Crusin), travels the world in her beloved ClariceCar to find the man of her dreams. Her ClariceCar has a wide firing range and mid-level power, making it great for beginners. Hoping to beat off Momoko, her own bomber, the “Ultra Explosive ClariceBomber”, features a pin-up image of herself. Remember Bases Loaded? If so, have we got the DLC for you. Introducing Homura Banto, the first ever mascot that resulted from a bug in a classic NES baseball game. Can you decipher the name and guess the bug? Nah, I bet you have to look it up, n00b. Homura's character design is courtesy of none other than Kenichi Sonoda! (Suchie Pai, Riding Bean, Gunsmith Cats). A pack of extra voice clips, recovered and remastered from the original voice recording, but previously unused, will will be available for download! Prices and release dates for all DLC have yet to be determined, but Clarice and Homura will both be playable in Arcade Mode +! The Japanese version of Game Tengoku CruisinMix hits Steam later this month and the English version is coming right behind it, scheduled for an early 2018 release! 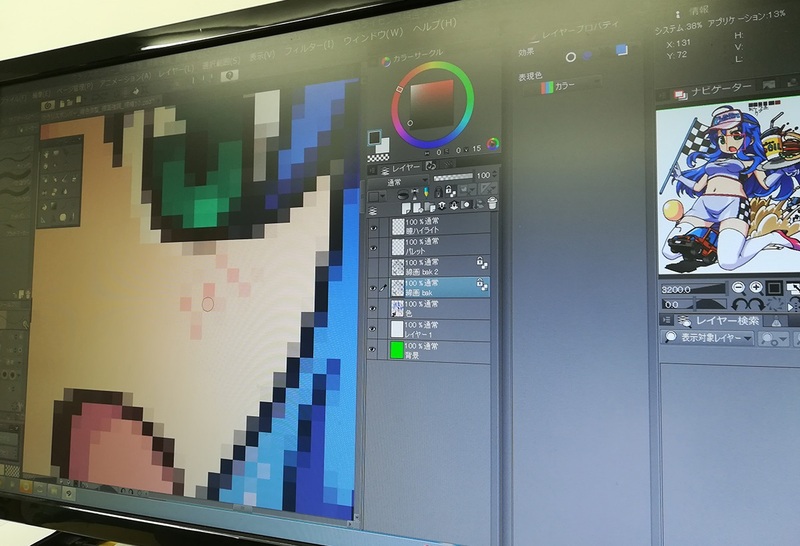 The ORIGINAL Game Tengoku team is working HARD on implementing the localization, aiming for the highest quality and ensuring the original is done justice. Game Tengoku live from Tokyo Game Show! 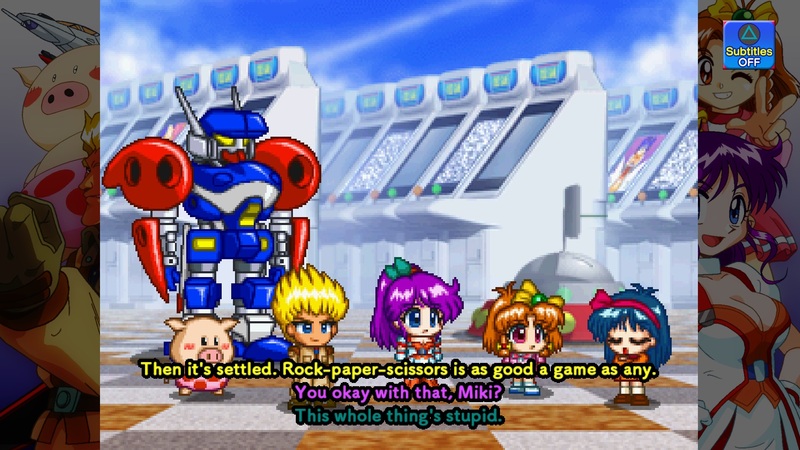 Game Tengoku CruisinMix will make its long-awaited debut at this year's TGS! Come by the City Connection booth (B-04, Hall 9, Indies Area) to check out the first playable version! Guests will include the game's original designer Masahiro Arai, the director of the Sega Saturn version, Naoki Kazaana, and the popular voice actress Mika Kanai! Degica staff will be on hand for English interviews. We opened the Special page and added Clarice to the Characters page. You can check the Japanese video on the Special page if you switch the language over! 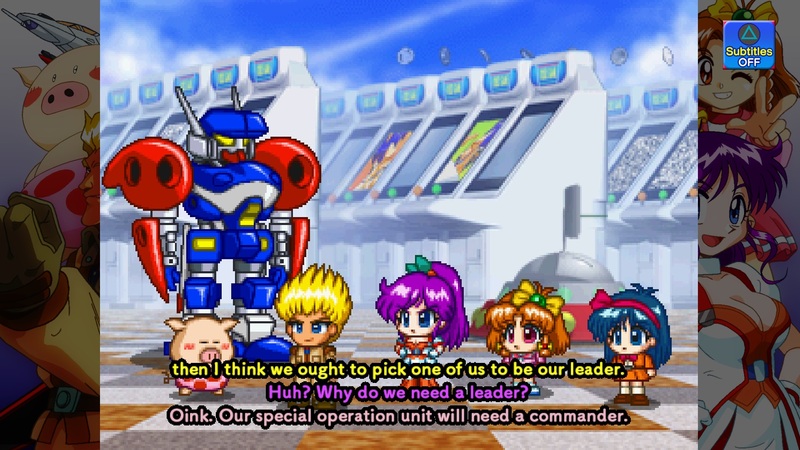 Game Tengoku Official Site Launched! 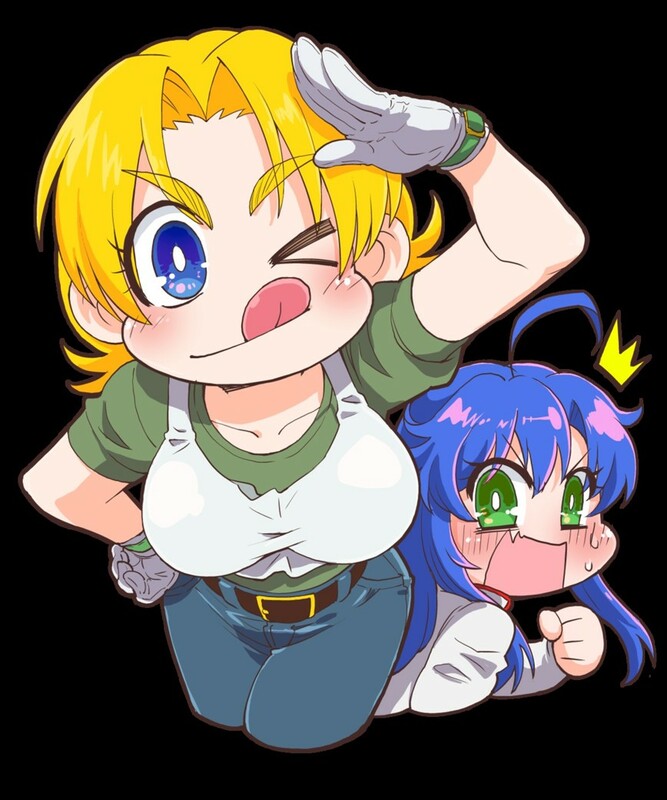 Marks the launch of the Game Tengoku Official Site, featuring things such as key visuals, an overview, and an introduction of characters from the game. ©2017 CITY CONNECTION CO., LTD.
※Product images are not final.